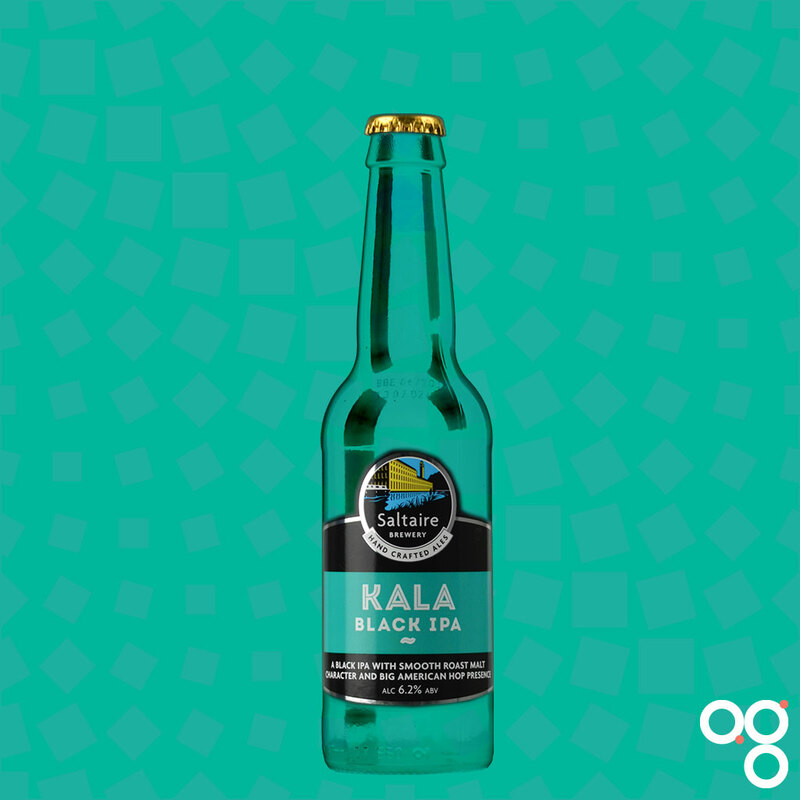 Here’s your cheat sheet for Kala by Saltaire Brewery. Black IPA is a style that was very popular a couple of years ago, but you don’t see so much of these days. This was always a good example of the style so it will be good to revisit it. Featured in main subscriber on 9 August 2018. This beer won a silver medal at the World Beer Awards in 2017. Find Saltaire Brewery on Twitter at @SaltaireBrewery and on Instagram at @saltairebrewery. Serve this beer between 7°C and 10°C; stick it in the fridge for about 90 minutes. Despite their dark appearance, Black IPAs are still relatively light and fruity – compared to lookalike beers at least. You could also think of Black IPAs as hoppy porters. That’s essentially what they are. So there will be less body than a stout, and much more fruity hop bitterness. There will be some roasted flavours from the dark malts, but these won’t be as strong as those in a stout. It’s a bit of a genre-spanning style that can give some pretty nice results when done well. With the combination of dark roasted and fruity flavours in today’s beer, I am leaning towards Mexican food for a pairing. Tacos perhaps. Or mole. I’m thinking of the deep rich flavour of black beans married with the fresh and vibrant spices and lime you often find in Mexican food, which ought to stand up to the IPA’s strength and mirror its various flavours well too. Read more on this beer from BeerBods and Saltaire Brewery. Newer Post Pressure Drop Brewing, Nanban Kanpai	Older Post What have I achieved in the past year?